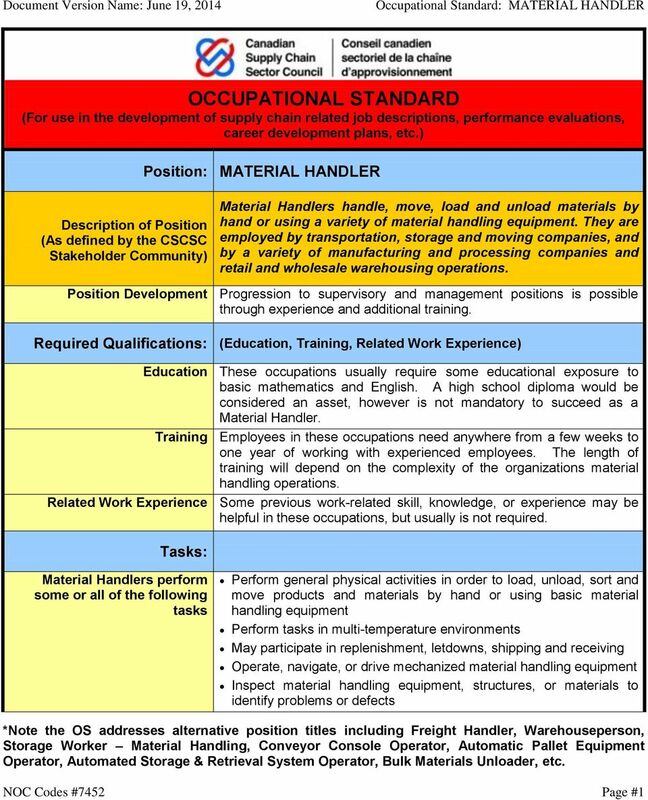 OCCUPATIONAL STANDARD (For use in the development of supply chain related job descriptions, performance evaluations, career development plans, etc. 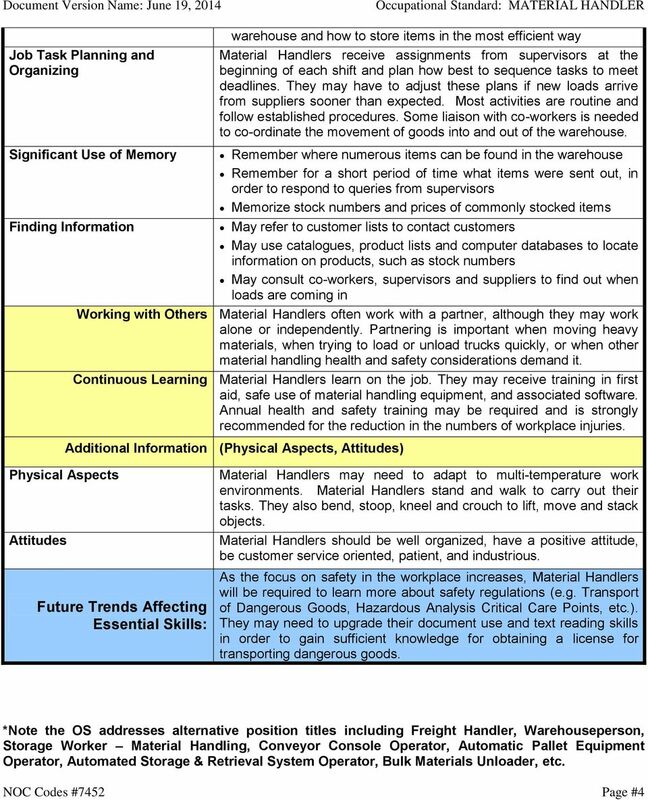 Download "OCCUPATIONAL STANDARD (For use in the development of supply chain related job descriptions, performance evaluations, career development plans, etc." COURSE LISTINGS Spring 2015 Supply Chain Management Institute Contents Course offerings. 2-6 Certified Logistics Associate (CLA) This course is designed to prepare students to attain the CLA Certification. Position Description. Department: Warehouse Operations. Supervisor: Warehouse (DC) Team Leader/Supervisor. Location: Health Solutions. 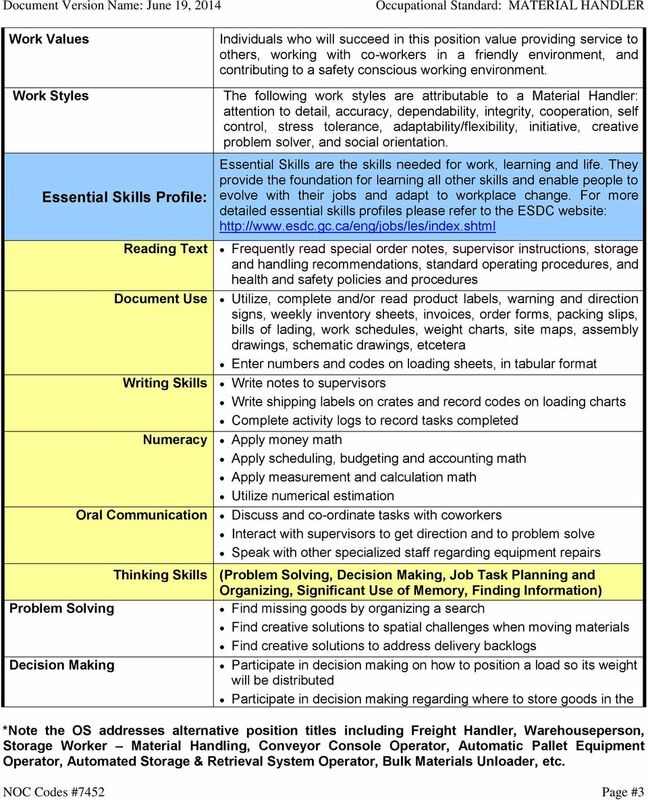 Objective: This activity provides students with experience in organizing jobrelated personal data and completing a job application. Edmonton Catholic Schools is now accepting applications for the position of. 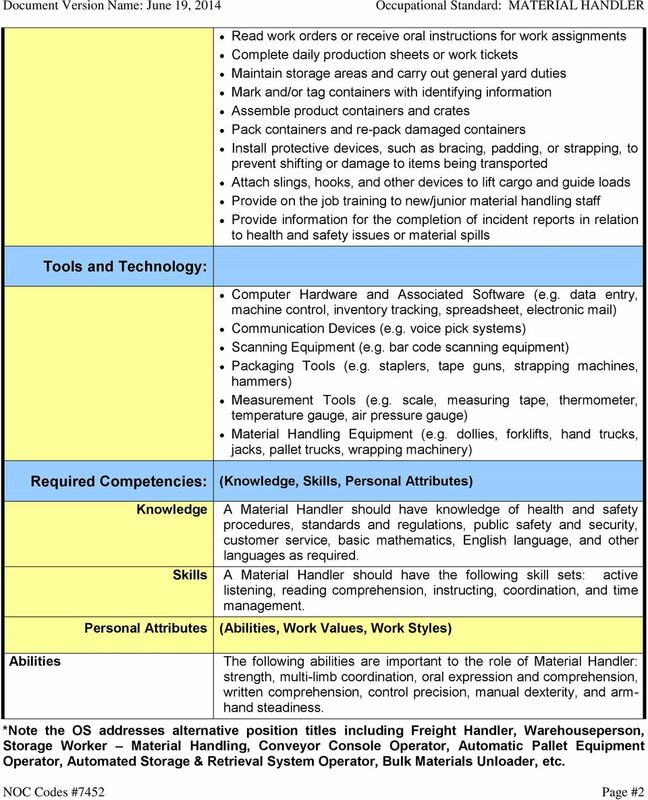 A complete job description is shown below. NOC: 3214 Occupation: Respiratory Therapist Occupation Description: Responsibilities include assisting in the diagnosis, treatment and care of residents with respiratory and cardiopulmonary disorders. 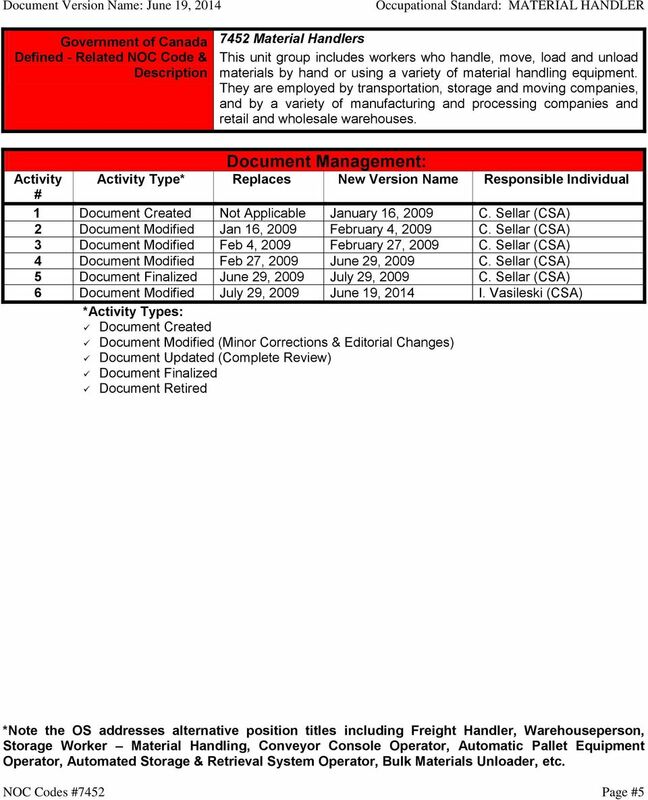 Personal/Position Information Name: Period Covered: Position: Reviewed by: Title: Position Start Date: Community: Region: Page 1 Instructions: The information contained in this evaluation is strictly confidential. Job Description. Essential Duties and Responsibilities include the following. Other duties may be assigned. CITY OF BEAVERTON Plumbing Inspector Lead General Summary Inspect residential and commercial buildings for compliance with all plumbing and mechanical codes, ordinances, standards, rules and regulations. Provides bookkeeping services for the department or school.